ReflecT is the Research Institute for Flexicurity, Labour Market Dynamics and Social Cohesion of Tilburg Law School at Tilburg University. It is combing high-quality legal, economic, sociological and psychological research about the challenges that arise from the tendencies towards and pleas for increased flexibility, dynamism and efficiency of labour markets and, the need for preserving or developing social cohesion, participation and commitment in work organization and society. In this project, Reflect forms a strategic alliance with the Expertisecentrum Beroepsonderwijs (ecbo). This Centre has been set up in 2009 to develop, disseminate and synthesise research on Vocational Education and Training (VET). Ecbo will be engaged in dissemination and be partner of the Local Advisory Board (LAB). Previous relevant experience: Marc van der Meer participated in the Low Wage Work in Europe and the US project funded by the Russell Sage Foundation, New York. He has served in several European Projects as a project leader and principal researcher (eg. on representativeness of social partner organizations, social pacts and overcoming marginalization). Meer, M. van der, H.Smulders, K.Visser (2013), Skills beyond school in the Netherlands- background report to the OECD, Den Bosch/ Paris. Visser, J. 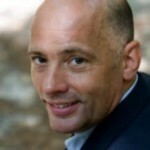 & van der Meer, M. (2011). The Netherlands: social pacts in a concertation economy. In: S. Avdagic, M. Rhodes & J. Visser (eds). Social pacts in Europe: emergence, evolution, and institutionalization. Oxford University Press. Muffels, R.J.A., & Wilthagen, A.C.J.M. (2013). Flexicurity: A new paradigm for the analysis of labor markets and policies challenging the trade-off between flexibility and security. Sociology Compass, 7(2), 111-122.